Despite CBN interventions to save naira from falling, naira has continued to stumble. Financial analysts and experts have given possible reasons why Nigeria naira may continue to stumble in spite of series of interventions by the Central Bank of Nigeria in the foreign exchange market. Experts said, there is no single market rate. Multiple exchange rate increases chance of speculation and round tripping. 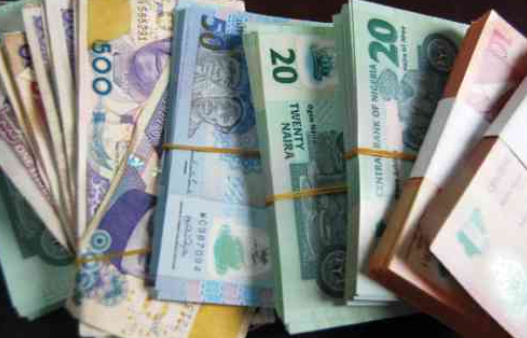 The President, Association of Bureaux de Change Operators of Nigeria, Alhaji Aminu Gwadabe, said an apparent devaluation of the interbank market rate was having a negative impact on the Naira. Gwadabe noted that investors were uncomfortable with the prevailing multiple rates in the market, adding that multiplicity of rates could engender currency speculation and round tripping. The expert also said that the demand for foreign exchange by pilgrims puts the naira in difficulty. The ABCON chief urged the regulatory authorities to work towards achieving a single market rate. A financial expert and a BDC operator, Mr Harrison Owoh, said the demands for foreign exchange by pilgrims were far outstripping the supply. Owoh said that $2000 auctioned to pilgrims on subsidized rate appeared not to meet their needs; hence they had to put pressures on the parallel market for more. The naira relapsed into depreciation after several weeks of appreciation fueled by the aggressive interventions of the CBN at the foreign exchange market. However few days ago, monetary officials say rate are now down to two; the official central bank rate of 305 per dollar and interbank and parallel market rate of 360 to 365 per dollar. Monetary policy officials also claim to unified some of their multiple exchange rate as they direct currency dealer to quote naira levels used in actual trade for August. We will live and see what happens…………………………………………..